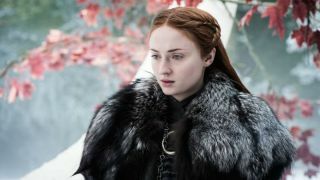 Game of Thrones season 8 may be a little way away but that doesn’t mean we can’t get all hot under the collar about what might go down in its final six episodes. I don’t want to overstate it too much, but what follows is a MASSIVE spoiler that those of you with nervous dispositions (and just generally don’t want shows spoiled) will want to completely avoid. Right, let’s do this. According to Watchers on the Wall, Winterfell will be no more. That’s right, the home of House Stark since time immemorial will be reduced to cinders in the final six episodes. There’s even a nifty video from a fan which shows a none-too-inconsiderable blaze engulfing the set. While season 8 really putting the fire in fire and ice is one thing, it actually tells us a lot about what to expect. Firstly (and most obviously), nothing is going to be safe during the show’s final run. Winterfell has been there since episode 1 – and that’s gone. Cersei, Dany, Tyrion, Jon Snow et al are all fair game - if that wasn’t clear already from the show - and in the crosshairs of the showrunners (and the White Walkers). Now, most interestingly, will the colour of the flame be? Blue, of course, would mean Viserion and the Night’s King are on the prowl whereas orange would mean Dany has gone rogue. The former seems the far more likely option, and narrows the overall series finale down to a few possibilities. It also offers a few tantalising clues about how the series is going to end. If Winterfell falls (and you can possibly expect that in the third episode judging by what we already know about what directors are directing which episodes), it’s going to push everyone south towards King’s Landing. Now we know what we know about Winterfell being destroyed, I’d bet the entirety of the Iron Bank that every major player in Westeros is going to end up with their back against the wall in the Red Keep for one final stand against the relentless army of the dead. Now that would be one helluva finale. For more things from Game of Thrones that won’t ruin the show, here’s a Jon Snow Easter egg you definitely missed, as well as why Game of Thrones season 8 might split fans down the middle (according to Maisie Williams).